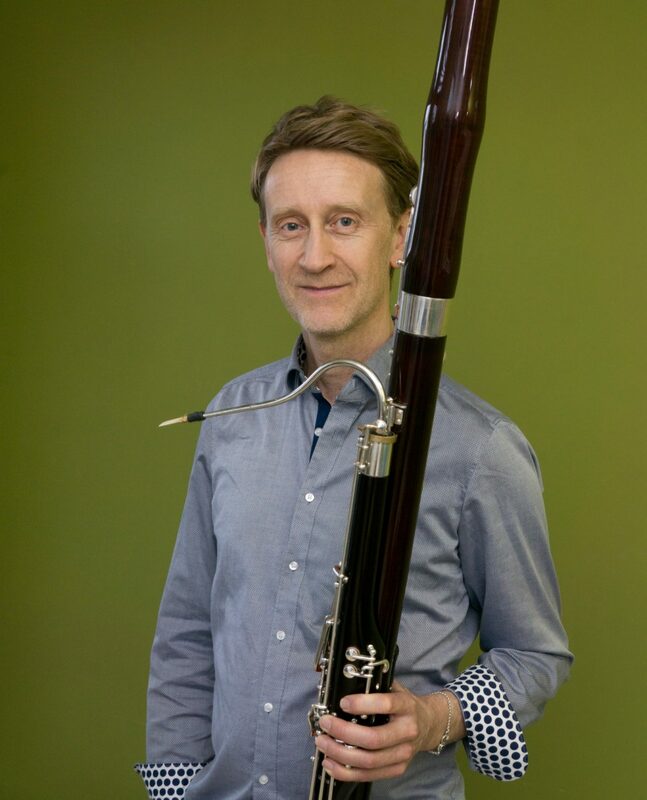 As the bassoonist of the award winning reed quintet Calefax and the internationally acclaimed Ensemble Musikfabrik Alban Wesly is considered as one of the most versatile bassoonist of this time. He studied bassoon at the Royal Conservatoire The Hague with Joep Terwey and Johan Steinmann and is pleased to follow in their footsteps. By doing so he looks forward to sharing his experience with a new generation of bassoonists: in the past thirty years Wesly has given more than 2,000 concerts in over forty countries: chamber music, with orchestra’s and solo. Calefax is one of the longest operating chamber music groups in the Netherlands, and worldwide trendsetter for a new genre: the Reed Quintet. Ensemble Musikfabrik is a specialist ensemble for contemporary music, based in Cologne. Wesly maintained his connection with the symphonic repertoire thanks to projects with the Royal Concertgebouw Orchestra, the Symphonieorchester des Bayerischen Rundfunks and the Residentie Orchestra, a.o. As a soloist, Wesly performed in the Berliner Philharmonie, the Moscow Tchaikovsky Conservatory, and the Musica Festival in Strasbourg. As a guest teacher, Wesly was active at the Royal Conservatory in The Hague, the Royal College of Music in London and Manchester. In addition, he gave numerous masterclasses in Japan, the US, China and throughout Europe.